Over the past month the student movement and the democratic opposition in Venezuela have demonstrated the power of nonviolent resistance before a regime that is attempting to establish a totalitarian dictatorship. 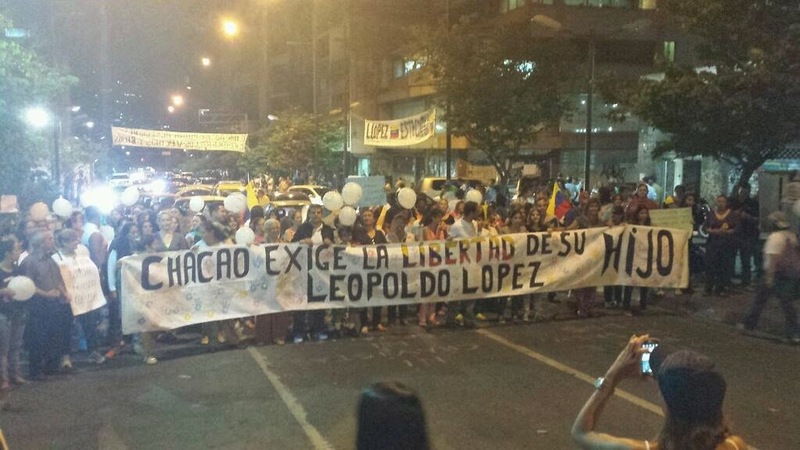 Leopoldo Lopez has described what is taking place as "Maduro's coup against democracy." The Maduro government has demonstrated its dictatorial tendencies utilizing paramilitary groups known as "colectivos"in collaboration with the Bolivarian National Guard to beat, torture, shoot and kill students in an effort to impose control through terror or at the very least provoke a violent response from the student movement in order to justify its own heightened repression. Maduro and his Castro allies have failed. 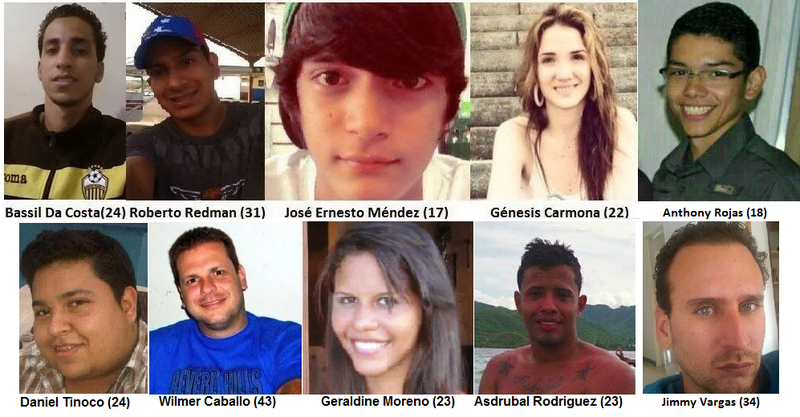 They have only succeeded in turning greater parts of the Venezuelan population against them. In a non-violent struggle there are moments that highlight the power of nonviolence and are both historic and emblematic. One such moment took place a month ago when Leopoldo Lopez leading a mass demonstration of hundreds of thousands proclaimed his innocence, the illegitimacy of the Maduro regime, and its politicized legal system then turned himself over to the authorities. Perhaps there was a silence for a time. Leaving unclear the why of this whole fight. This fight is indeed for our youth, this fight is indeed for the students and for those who have been repressed, this fight is indeed for those who have been imprisoned, but this fight brothers and sisters, is for all the people of Venezuela, that is suffering today, is suffering making lines, is suffering scarcity, the youth have no employment, they have no future, because of the wrong model, for a model that is not implemented, but exported from other countries, that has nothing to do with the brave people of Venezuela, and that we together brother and sisters, have to be clear that we have to build an exit to this disaster. That exit brothers and sisters must be nonviolent, it must be within the constitution but it also has to be on the streets. Because we no longer have in Venezuela, we no longer have in Venezuela, a free media to express ourselves. If the media is silenced let the street speak loudly. Let the people speak, and may the streets speak with peace and with democracy. I am now about to proceed to go towards the squad where the National Guard is to turn myself in. I am going to do it. I thought about it a lot. I'd like to let you know that these past few days, I had a lot of time to think, analyze, listen to the radio, watch TV or read what I haven’t for a while, speak with my family, and the option I had was to leave the country, but I will never leave, never. The other option, was to stay hidden in secrecy, but that choice could leave doubts among some, including some who are here now that we have something to hide. We have nothing to hide, I have not committed any crimes, I am not a criminal, I do not have to hide, then the other option is to turn my self in, and I ask you, and beg you with my heart, that when I pass by and turn myself in, that you keep calm, we have no other option. I do not want any more violence or confrontation, so I ask for your understanding, for your organization and your discipline. "Today no one can say that what there is in Venezuela is a democracy. The authoritarian, repressive, and criminal reaction to the protests have been a blow to freedom that leaves no doubt that we live in a dictatorship. A dictatorship that has been incubating for years, that no one can fail to see and recognize." "I have taken the audacity to write these lines because I am convinced, as millions in Venezuela , that your voice , your guidance and your blessing to our people at this time can make a profound impact on the next destination of our country." 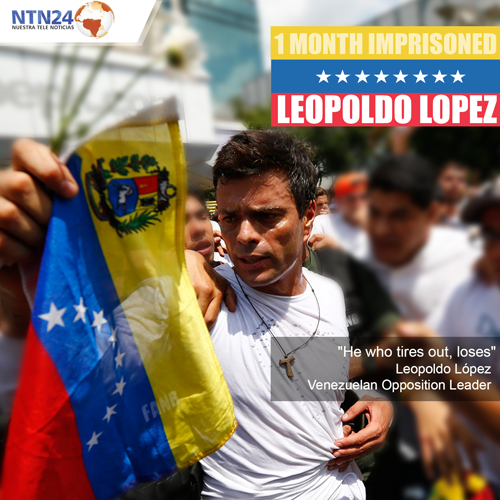 Over the course of the past month from his prison cell Leopoldo has called on Venezuelans to take to the street nonviolently to exercise their civic freedoms in nonviolently protesting the unacceptable practices of the Maduro government. 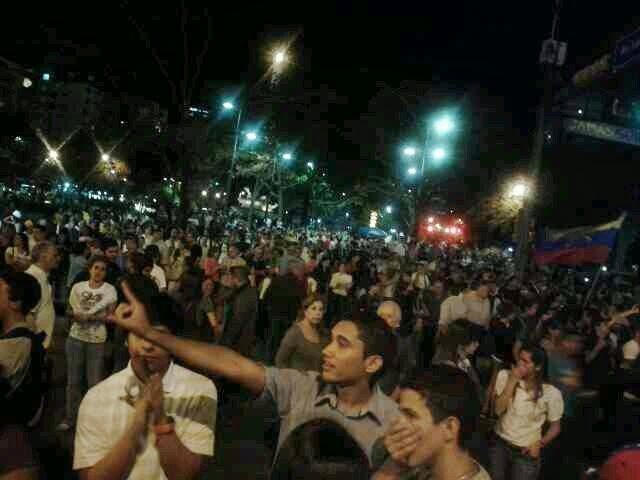 Tonight despite a heavy military presence and continued violence by the "colectivos" Venezuelans are peacefully in the street exercising their rights.